Weight: Dry - 754 lbs. | Filled - 4,507 lbs. 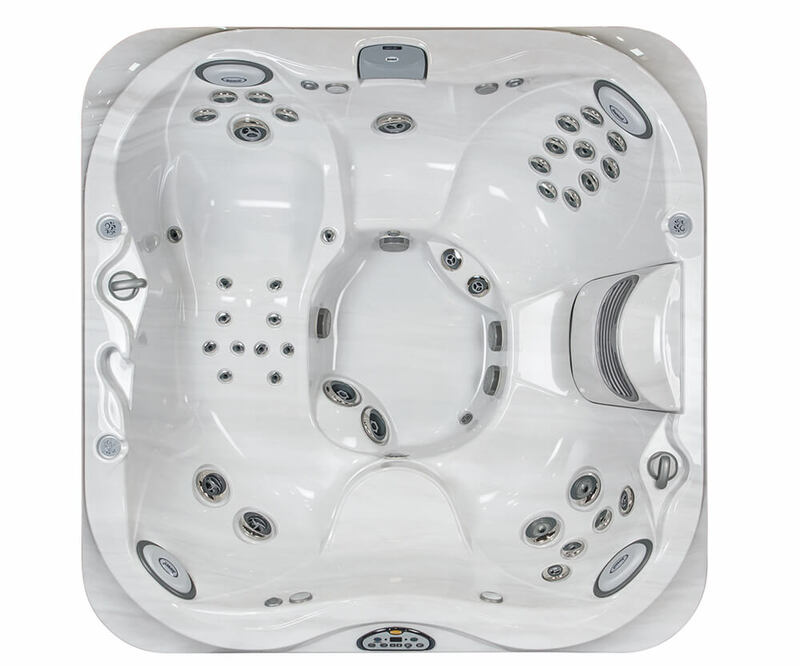 Designed to deliver a relaxing yet stimulating massage, the Jacuzzi® J-335™ Hot Tub features enough seating for 5-6 adults. The FX-10™ Therapy Seat, mini lounge seating and powerful water jets, including PowerPro® FX Jets, work to ease the tension in your muscles and help reduce your overall stress. Further customize your J-335™ hot tub with our color options and build and price tool. 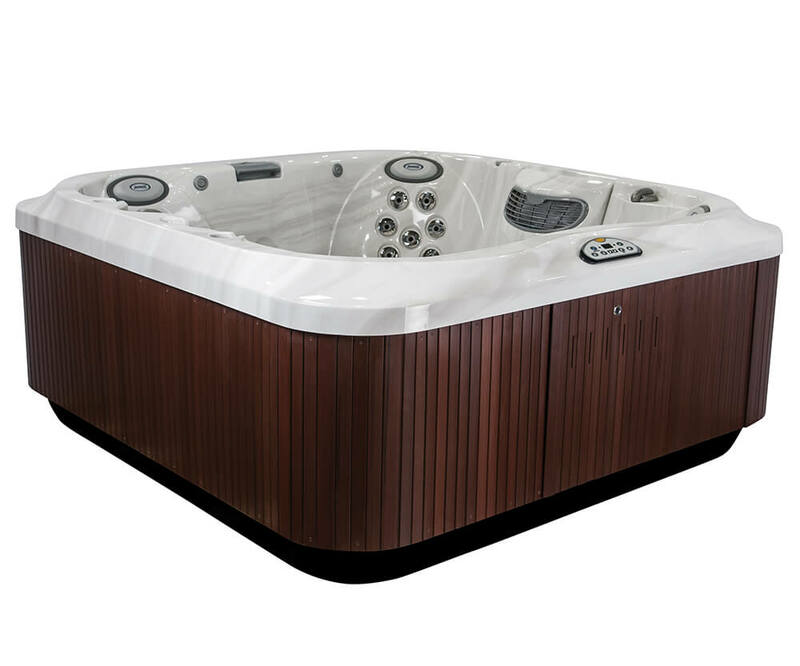 Watch the following video to get your first look at the features and design that makes the J-335™ such an amazing hot tub. Ergonomically-designed seating for comfort, LED lighting for ease of entry and repositionable headrests to maximize your hydromassage experience. Tension-easing lounge seat with wrist jets (ProAir™ Lounge) with comforting bubbling effect (BX Jets) along with Swedish upper back seats (PowerPro® Therapy Seat), bold lower back jets coupled with leg jets (MX2), and more deep tissue jets (FX) throughout. Targets key areas of the neck, shoulders and back. Designed to relieve pain and tension with adjustable jets to pinpoint problematic areas and ease muscles. Releases muscle knots and stimulates surrounding tissue with spiraling, pulsating jets for complete back coverage. Calf jets focus on smaller muscle groups to relax strained legs.